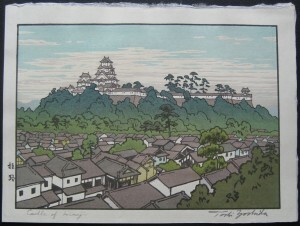 The Yoshida wooblock print Castle of Himeji has been added to the gallery. 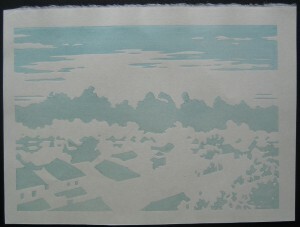 This chuban sized print is part of a set produced by Toshi Yoshida to demonstrate the woodblock printing process. 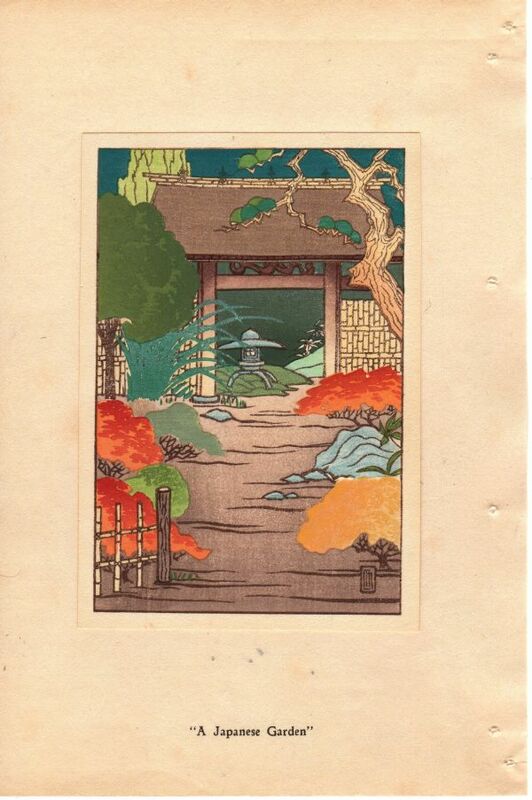 I’ve only ever seen two sets of this woodblock print. 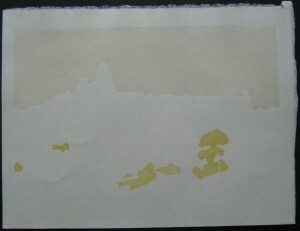 This set comprises seven woodblock prints, a keyblock print, five colour impressions and the final completed print. 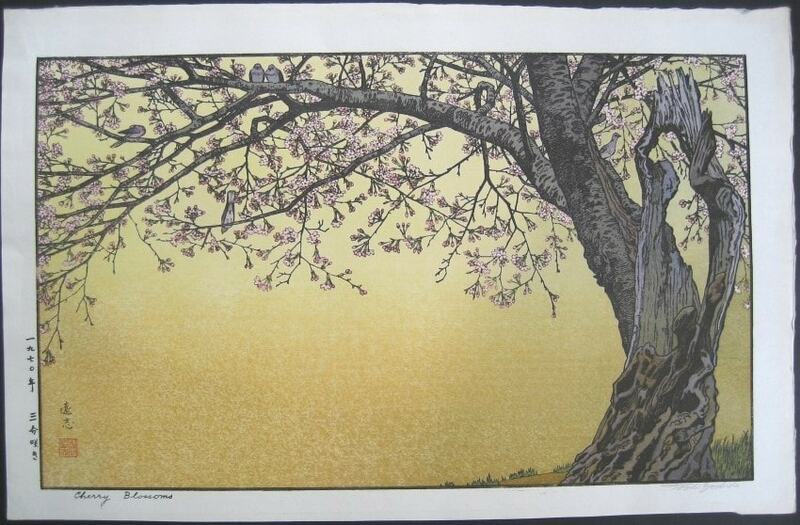 The completed print was never issued as a ‘stand-alone’ print so unless a set has been broken up the completed print is not available in the market place. 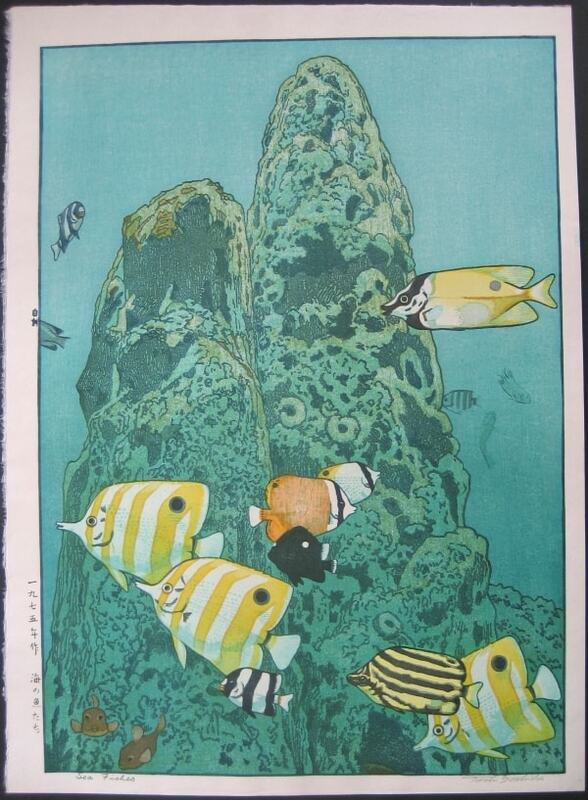 The other set in addition to the above prints also appears to have included a hanshita page. The hanshita is a very thin piece of paper that contains the artists design which is glued down onto the woodlbock providing the carver with the outline to follow when carving the block. 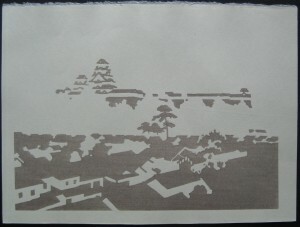 The hanshita is thus destroyed by the carving process. I don’t know whether the hanshita is ‘officially’ part of the issued set given its part of the carving process rather than printing process but it would be nice to have one. The printing process set is shown below – hopefully in the correct order – please let me know if I’ve got it wrong. This is a very interesting set. I’ve never come across the process illustrated so well before. Is this set related to his “handbook of traditional & modern techniques”? 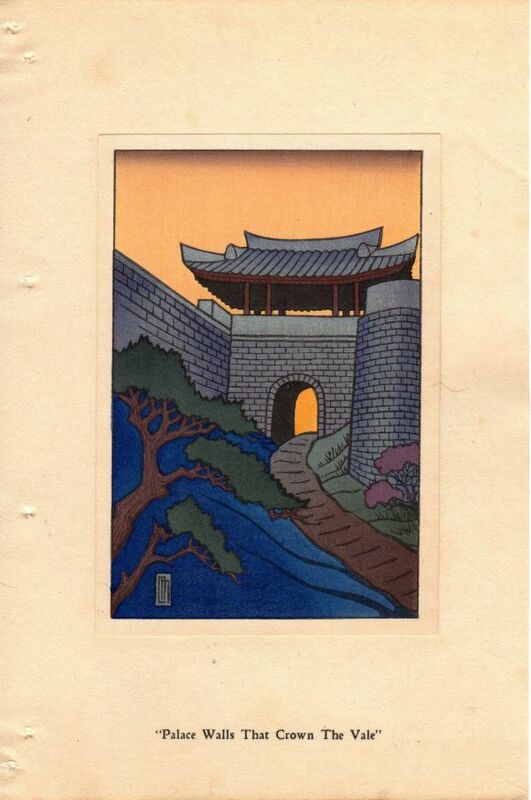 I don’t have a copy of Toshi Yoshida’s book (although it is on my shopping list) so can’t say whether the Castle of Himeji woodlbock set is part of that or not. There is a copy of this set for sale over at http://www.renbrown.com if your interested in obtaining one. It’s unfortunate there is no Catalogue Raisonne of his work. 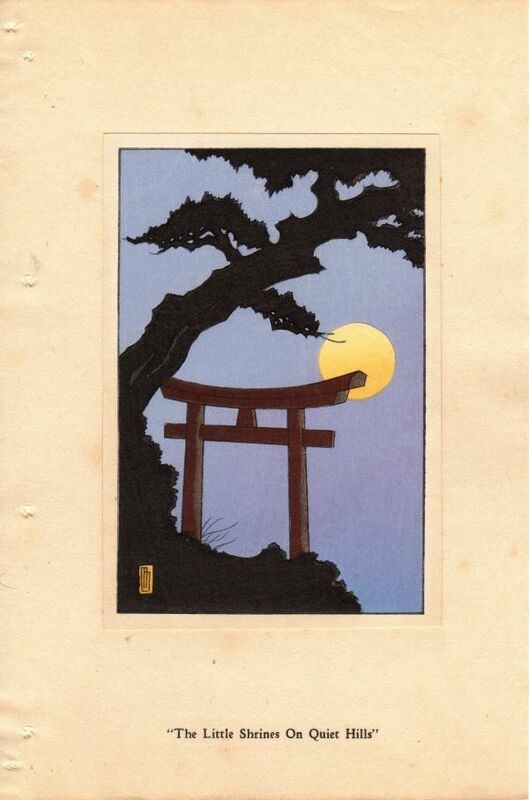 Probably the best catalogue is over at hanga.com – it has large gaps and is limited to relatively small images but it’s very generous of them to put in the work to do that for us collectors. Eugene Skibbe has produced a book on Toshi Yoshida (Nature, Art and Peace) and in that I seem to recall there was mention of producing a catalogue but that never appears to have eventuated. 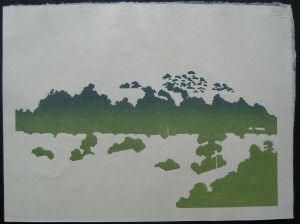 I’ve just put up a post on a woodblock printmaker called David Bull which you should take a look at. 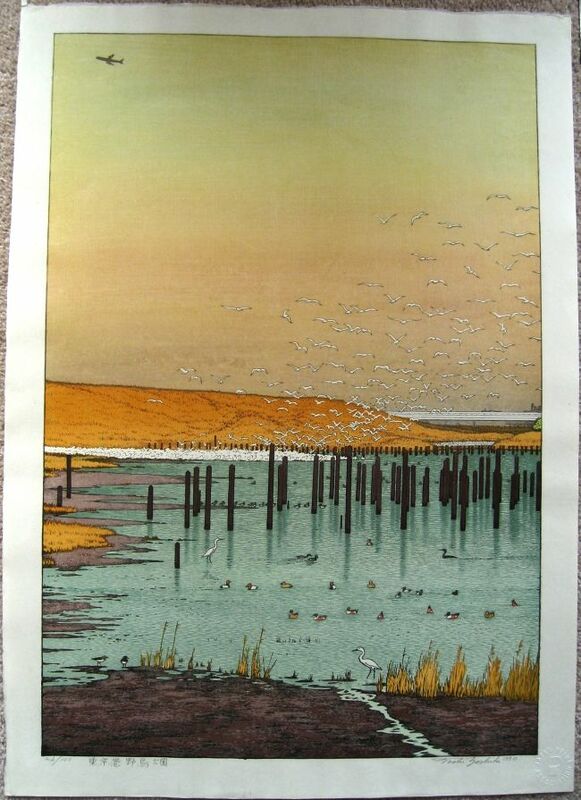 There’s links to his website/s where he’s provided in-depth descriptions with images and slideshows showing how he produced some of his prints which I found very interesting. Thanks for the info Mike. I’m afraid I struggle to justify paying the prices asked for originals that must stay hidden, so I confine myself to expensive books instead. A long way from hand-carved artistry perhaps but an interesting process nonetheless. A few years back David Bull and Mike Lyon produced a collaborative print under Dave’s Mokuhankan business. The print Aspen Grove was designed and carved by Mike using a computer controlled router. 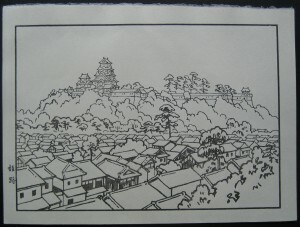 It was then passed to Dave and he had Shinkichi Numabe print it. Numabe is the printer for the Yoshida Studio – it’s his name you’d see stamped on the back of most Toshi Yoshida posthumous prints. He’s also the main printer for Paul Binnie. 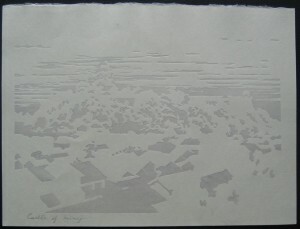 There’s a detailed description about the production of the Aspen Grove print at Mokuhankan.